Torontonians know our city has become a battleground for chic pizzerias. From Terroni to Libretto and Queen Margherita, some may be wondering if this quest for the ultimate designer pizza has caused pie lovers to loose sight of the simplicity of enjoying a great slice of pizza. Rob Prete thought it was about time Toronto got back down to the basics when it came to pizza, so he called in his old culinary school friend Alejandro Bustamante and began rolling out homemade dough in north Toronto. “Food is getting too fancy nowadays, and we wanted to create a laid back, family-style place all about simple but great tasting food,” says Prete co-owner with Bustamante. 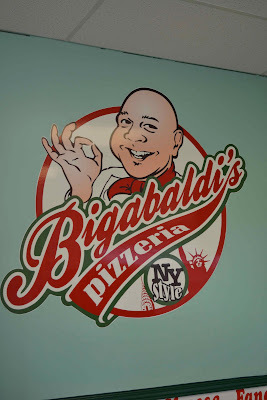 The black-and-white linoleum floors and bright red counters and stools makes Bigabaldi’s look like it was transported right out of 1970s New York City with the vintage Coca-Cola signs and the shaven head Bigabaldi cartoon portrait on the pizza boxes and walls. All their eats are best enjoyed on the spot with a can of Brio (the bittersweet cousin of Coca-Cola), but you can call ahead to pre-order your choosing for pickup or delivery if you live within their zone. 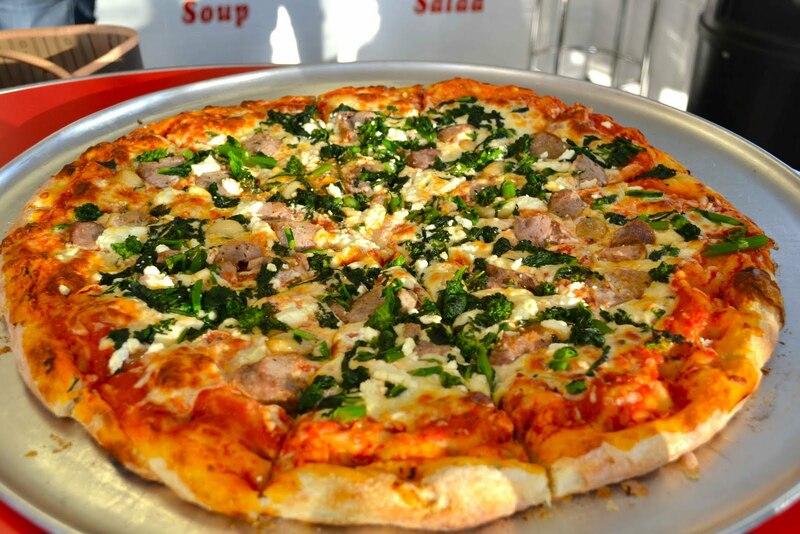 The pizza comes in four sizes and is New York-style thin crust from homemade dough and sauce from San Marzano tomatos (considered to be the best in the world by chefs). 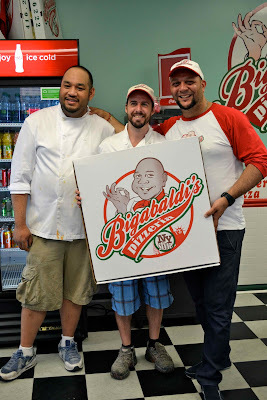 We tried the Baldi’s Pizza ($13.50 to $27.00) with mozzarella, roasted garlic, rapini, sausage and goat cheese and the Bigga Pizza ($14.50 to $29.00) with mozzarella, pepperoni, sausage, bacon and mortadella. 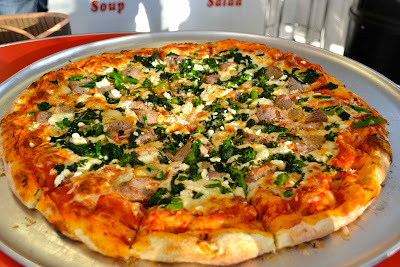 The toppings were generous and the crust had just the right amount of crunch, which we like. There’s a whole menu of other eats including “sangwiches” (this is how Italian-Canadians say ‘sandwich’) pastas and meat dishes for one or for the family to share. 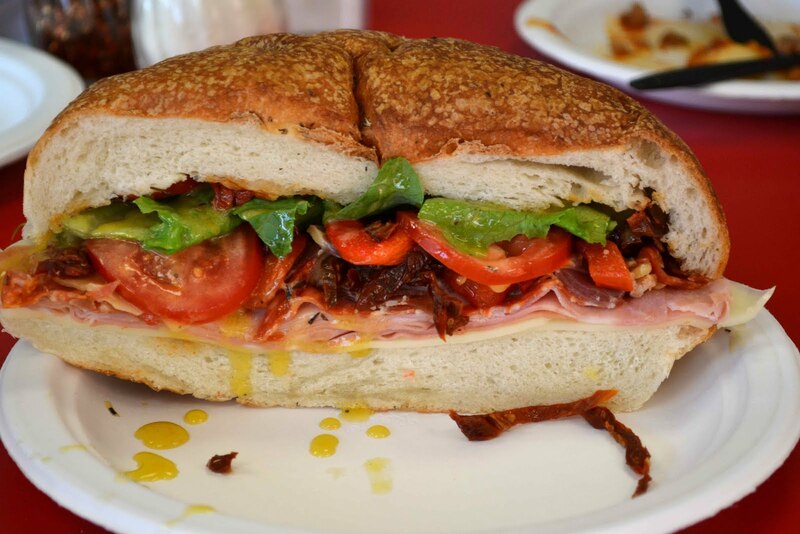 We particularly enjoyed the Hero Sangwich ($7.50), stacked with salami, prosciutto, mortadella, ham, tomatoes, peppers, mozzarella and lettuce, but its best to share with two (or more) friends. 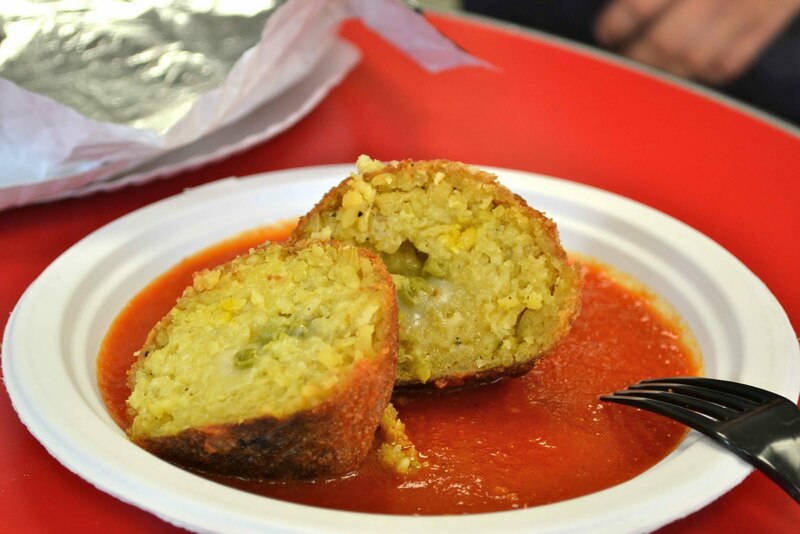 If you’ve never had the pleasure of enjoying a rice ball, or Arancini as they’re called in Italy, the ones at Bigabaldi’s ($3) would be what you would expect from an Italian grandmother, drenched in tomato sauce and stuffed with mozzarella, sweet peas and even some Persian saffron for an unexpected twist. You can’t leave Bigabaldi’s without trying Alejandro’s newest creation, a Nutella and banana panzerotti sprinkled with cinnamon ($4), which alone would be worth the trip back to Bigabaldi’s. 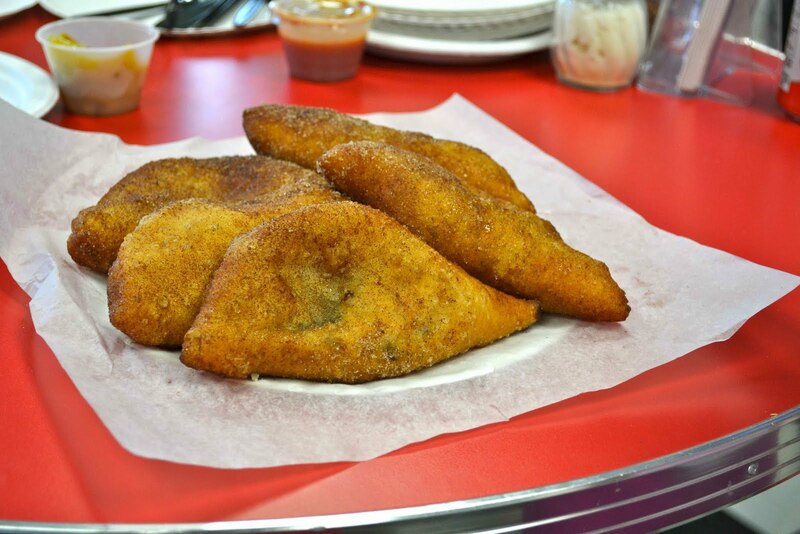 If you frequent north Toronto or live within the delivery zone posted on their website, we highly recommend this for a quick bite of no frills homemade Italian favourites or to enjoy with friends or family at home on your day off from cooking.